Zoiks! (Z! 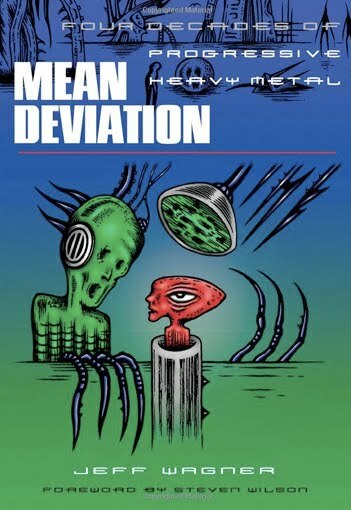 ): You have a book out called “Mean Deviation” which covers four decades of Progressive Heavy Metal. What made you decide to tackle progressive metal? Jeff Wagner (JW): Two things probably, it’s always been an interest of mine. I’ve always been fascinated with, not just metal, but I’ve always gravitated towards the stranger more eclectic weirder bands in the genre, which includes a lot of progressive weirdos. 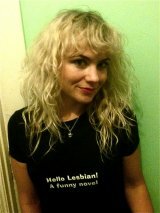 Also in terms of writing the book, there hadn’t been a book about the subject yet; it’s the first one out there. I kind of laid that out as a foundation and I hope that other people tackle the subject in books as well. Z! : I’m definitely looking forward to reading it. In college I took a class on progressive rock, we only covered the big bands like King Crimson, Yes, Rush, Jethro Tull etc. Those bands are very different. I remember emailing my teacher all the time asking him stupid questions like, ‘is Tool progressive rock?’ Is it possible to define what makes a band or artist progressive? JW: Not by sound and I think that is one of the problems I tackle in the book. I don’t think it is a sound or style, I think it is an approach or an application of a bunch of eclectic influences and unusual ideas maybe. It’s a little bit hard to define; it’s certainly hard to wrap up in one umbrella. The bands you mentioned, the prog rock bands, those bands were all progressive in their time, none of them sound alike, but if you listened to music in the 80’s and 90’s there were bands trying to copy their sound. They were mislabeled as progressive. You can’t copy Dream Theater or copy King Crimson or copy Rush and be progressive yourself. That is antithetical to what the word progressive really means. Z! : That kind of leads into my next question, what kind of influence do these bands have on each other? JW: If you’re talking about progressive metal you get in trouble again because it’s such a wide scope. You might have one band like Symphony X on one side of progressive metal spectrum and then you might have a band like Voivod on the other end of that and they really are nothing alike. I don’t imagine they rubbed shoulders or have any real influence on each other. I think each individual progressive metal band probably is drawing from influences that are unlike any other progressive bands set of influences. Z! : Rush day is coming up and progressive music was around before Rush, but what stamp did Rush put on Progressive music? JW: I really think that they were the first band, and you could argue that King Crimson did this as well, but I think Rush really merged progressive rock, they were very Yes influenced, if you listen to “By Tor and the Snow Dog” off of “Fly By Night,” that is very much pointing to Yes’ “Relayer” album. Rush very much had a progressive rock influence that they wore on their sleeve at the time, but they had this sturdier, more metallic foundation. If you listen to early Rush, it’s right up there with Black Sabbath and Judas Priest with having that metal sound. What I think Rush did was synthesize these two things in a direct way than any band had done in the past. I think there are Sabbath albums that have some progressive tendencies, even early Judas Priest have some progressive tendencies. Rush really merged these two things. I think they’re really the best example of the first really true progressive metal band. Z! : When did you discover Rush and how did that experience affect you? JW: I can never forget that. I’m 42 now and in 1981 when “Moving Pictures” had just come out, I was 11 or 12 years old. I was really into video games, the arcade games, “Space Invaders,” “Centipede” “Asteroids” all that kind of stuff. I was always at this local restaurant that had these games and they had a jukebox. I remember getting really absorbed in one of these games and “Tom Sawyer” came on the jukebox. It just blew my mind. At that time I was listening to FM radio and I had grown up on Kiss, AC/DC and Judas Priest. When I heard “Tom Sawyer” and I was all absorbed as a kid playing video games and being into Sci Fi books at that time. I was the total 11 years old nerd right there. It just struck a chord. I got “Moving Pictures” and it remains my favorite album of all time. From there on I was just absorbed in Rush and have followed them ever since. Z! : Rush was definitely successful, but now they’re one of the biggest bands in the world. They seemed to kind of gradually get there rather than just having one…”Moving Pictures” was big, but it wasn’t like the “Black Album” or “Back in Black.” What’s been the key to their success and popularity? JW: That’s a great question and a great subject. The key I think is that it’s always been these three guys or it has been for a very long long time. They have never catered to the main stream, they have changed with the times, but they’ve always stayed true to themselves and done what they wanted to. I think fans appreciate that and Rush have never done anything but that, so I think fans appreciate that Rush has always kept it real so to speak. I think so many people resisted Rush for so long. Now they realize that they truly are a classic band, you don’t have to like Geddy’s vocals to get that. Through perseverance and never straying off course but at the same time remaining fired up by their own chemistry and creativity within the band. You can’t say that with a lot of bands that have been around that long. You can’t say these aging old bands are excited to make new records, but Rush seems to go into every new record with a measure of excitement about their creativity and what they can think of next. Not to go on and on, I have to say Rush now being noted as one of the biggest bands in the world and they most certainly are, it wasn’t always like that. They were always popular, but they were always popular within a certain set of people, your teenage musicians who aspired to what Rush was doing music wise and just your average pocket protector geeks who liked what Rush was doing in the 70’s and 80’s. They’re now accepted by a broader population finally. Z! : Do you think the Rock n Roll Hall of Fame will ever be accepting of progressive music. I know a couple of bands are in there like Genesis, but they went pop in the 80’s, that’s why they’re in there. Do you think they’ll ever accept King Crimson, Rush, Yes etc? JW: I don’t know, would Genesis have gotten in if they hadn’t broke big as a pop band in the 80’s? I doubt it; in fact I’d put good money down. I don’t know if they’ll ever embrace it, but quite frankly I have the Pearl Jam attitude toward Hall of Fames and award shows, I don’t’ think it matters that much. It’s nice if they could get the recognition, I think there are a lot of bands that deserve the recognition, Rush are dying for it and over due for it, if they never make it, I don’t think that really reflects what Rush means to their fans and the fans know that and the band knows that so, whether they embrace it or not, that’s the Hall of Fame looking uniformed if they don’t, If they never do, big deal. Z! : I’d like to consider myself a fan of progressive music, but I’ve really only scratched the surface in that I’m only really familiar with the big bands. What draws you to progressive metal? JW: First it was just a fascination of metal as a genre in general, in the early to mid 80’s, when all that stuff was happening with the new wave of British heavy metal and then you have Metallica coming up. I was a total fan of Metallica back in the early days, Slayer and all this. I was always fascinated, but then I’d see these bands come along like a Voivod, or a Fates Warning, or a Watch Tower or a Psychotic Waltz who were giving these really interesting twists to the formula. You didn’t know what they were going to sound like from album to album. They certainly didn’t sound like any other bands in the genre. They weren’t a blue print or a template. I just always found that fascinating. I’d rather spend my time listening to something that’s going to challenge me a little bit and make me think as opposed to buying the next Slayer knock off. I think it’s really that broad attitude that these bands have that’s interesting to me. Z! : When writing your book, what were your criteria for choosing bands to talk about? JW: If they sounded like no other band I’d rather give them the time. There’s a huge wave of bands that sound like Dream Theater now. If you’re familiar with Dream Theater, you know what they sound like. There is a whole mass of bands that have taken primary influence from Dream Theater. They certainly have other influences, but they’ve taken this sound and turned it into a style. I don’t consider that a progressive move, you might get good music out of it, you might not, but it’s not a progressive thing, so for me it was who was the first band to do that sort of thing, well it was Dream Theater, they meshed some things in a way that nobody had before and came up with their sound. They deserve a lot of space. Voivod was another band that came out with a wide set of varied influences and did their thing. If you want to get more modern Opeth is a band that’s blending a lot of different styles and approaches in their music and they deserve a lot of space. It’s really the bands that have a totally unwavering individuality to them that I felt deserved the coverage. All these bands we’re talking about, Rush, Dream Theater, Voivod, they’ve all been quite influential. Z! : Speaking of Dream Theater, what is your take on Mike Portnoy leaving and how do you like their most recent album compared to their earlier albums? JW: I don’t really like the new album any more than I’ve liked the last couple. I think for a long time they’ve been treading water. I don’t feel like they’re moving forward in any real significant way. I think they have a set style and they play within that style. I’m more of a fan of the early albums, which I love to this day. Mike Portnoy leaving, I was on his side, because one of the reasons that resulted in him leaving was that he approached the band and said, look we’re kind of on this treadmill, lets get off of the cycle of write, record, tour, write, record, tour, let’s take a breather for the good of the band. I think he was right in identifying that this might have been an issue with the band. I was very much behind him on that, because I think that is part of the problem with some of their later music. The rest of the band didn’t want to do that so they parted ways. Great read! It is interesting how progressive rock developed throughout the years. All musicians should know about the history and roots of their genre. Whether you're pop, rock or hiphop, it is your responsibility to dig deeper and do your research. This should help you become better.